Manoj Mohanan is an applied microeconomist, focusing on health and development economics, with a background in medicine and public health. Mohanan is Associate Professor at the Sanford School of Public Policy at Duke, with secondary appointments in the Department of Economics and the Duke Global Health Institute. His research focuses on topics related to health and health care in developing countries including: performance-based contracts, measurement of provider quality and performance, social franchising, and social accountability / monitoring. He also studies the role of subjective expectations and beliefs in health care behavior. Prudhomme O'Meara, W, Menya, D, Laktabai, J, Platt, A, Saran, I, Maffioli, E, Kipkoech, J, Mohanan, M, & Turner, EL. (2018, July 17). Improving rational use of ACTs through diagnosis-dependent subsidies: Evidence from a cluster-randomized controlled trial in western Kenya. Plos Medicine, 15 (7), e1002607-null. Maffioli, EM, & Mohanan, M. (2018, January). Touching beliefs: Using touchscreen technology to elicit subjective expectations in survey research. Plos One, 13 (11), e0207484-null. Mohanan, M, Miller, G, Donato, K, Truskinovsky, Y, & Vera-Hernandez, M. (2017, October 11). Different Strokes for Different Folks: Experimental Evidence on the Effectiveness of Input and Output Incentive Contracts for Health Care Providers with Different Levels of Skills. Center for Global Development Working Paper, (464). Mohanan, M, Miller, G, Donato, K, Truskinovsky, Y, & Vera-Hernandez, M. (2017, May 2). Different Strokes for Different Folks: Experimental Evidence on the Effectiveness of Input and Output Incentive Contracts for Health Care Providers with Different Levels of Skills. Economic Research Initiatives at Duke (ERID) Working Paper, (245). Sherry, TB, Bauhoff, S, & Mohanan, M. (2017, May 1). Multitasking and Heterogeneous Treatment Effects in Pay-for-Performance in Health Care: Evidence from Rwanda. American Journal of Health Economics, 3 (2), 192-226. Mohanan, M, Giardili, S, Das, V, Rabin, TL, Raj, SS, Schwartz, JI, Seth, A, Goldhaber-Fiebert, JD, Miller, G, & Vera-Hernández, M. (2017, May). 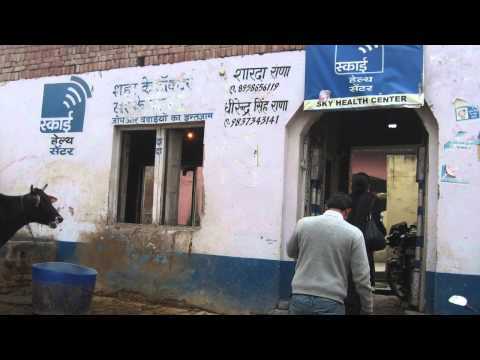 Evaluation of a social franchising and telemedicine programme and the care provided for childhood diarrhoea and pneumonia, Bihar, India. Bulletin of the World Health Organization, 95 (5), 343-352E. Donato, K, Miller, G, Mohanan, M, Truskinovsky, Y, & Vera-Hernandez, M. (2017, May). Personality Traits and Performance Contracts: Evidence from a Field Experiment among Maternity Care Providers in India. Laktabai, J, Lesser, A, Platt, A, Maffioli, E, Mohanan, M, Menya, D, Prudhomme O'Meara, W, & Turner, EL. (2017, March 20). Innovative public-private partnership to target subsidised antimalarials: a study protocol for a cluster randomised controlled trial to evaluate a community intervention in Western Kenya. Bmj Open, 7 (3), e013972-null.